When I arrived in Canada in 1959 as a 20-year-old immigrant from Italy, I would have never thought that today, over 50 years later, I would look back on my life as that of an accomplished entrepreneur and business owner. It is my sincere hope that through its stories the book will help in keeping our company’s family and entrepreneurial values alive for generations to come. Founder and President, Barzotti Kitchens Ltd. 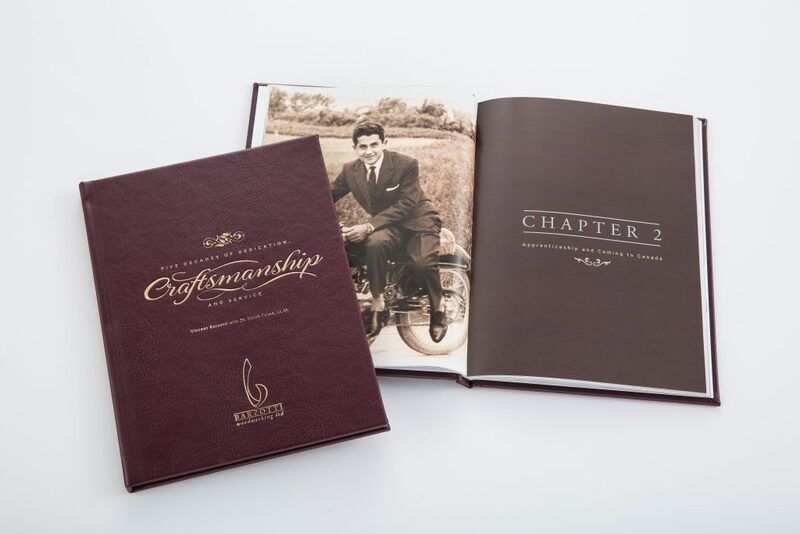 Written as an entrepreneurial life story, company anniversary and legacy book, Barzotti – Five Decades of Dedication, Craftsmanship and Service captures the fascinating story of Canadian immigrant entrepreneur Vincent Barzotti. 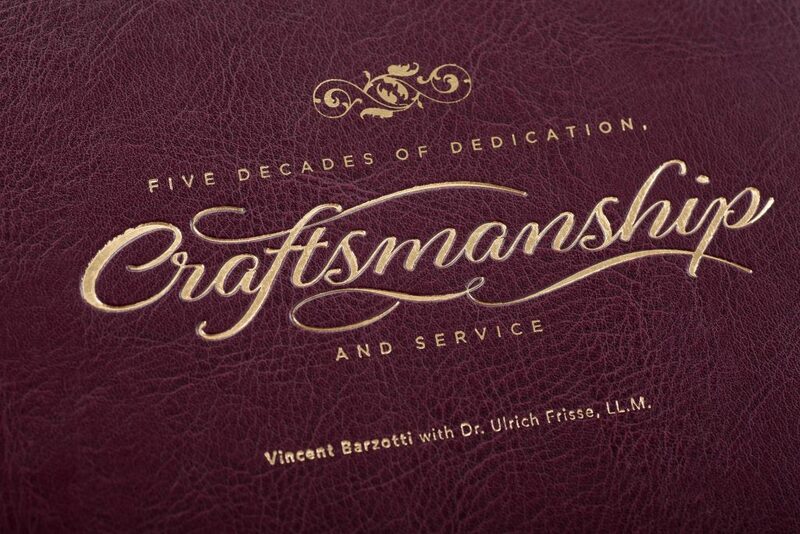 The autobiographical account co-authored by Vincent Barzotti and HBS’s Dr. Ulrich Frisse, follows Vincent’s eventful life trajectory from his childhood days in pre-World War II Italy through immigration to Canada in the late 1960s to the founding and evolution of Barzotti Woodworking Ltd. into one of North America’s finest kitchen manufacturers. When Vincent Barzotti invited HBS to help him tell his story, his goal was to create a record of his multi-faceted life that could be shared with family, friends and partners in the business and ethnic community. 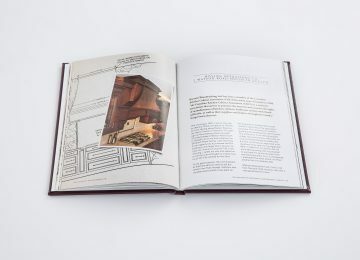 As Barzotti Kitchens was quickly approaching its 50th anniversary, the book was to be designed both as a legacy and anniversary publication with family, employees and the community in mind. 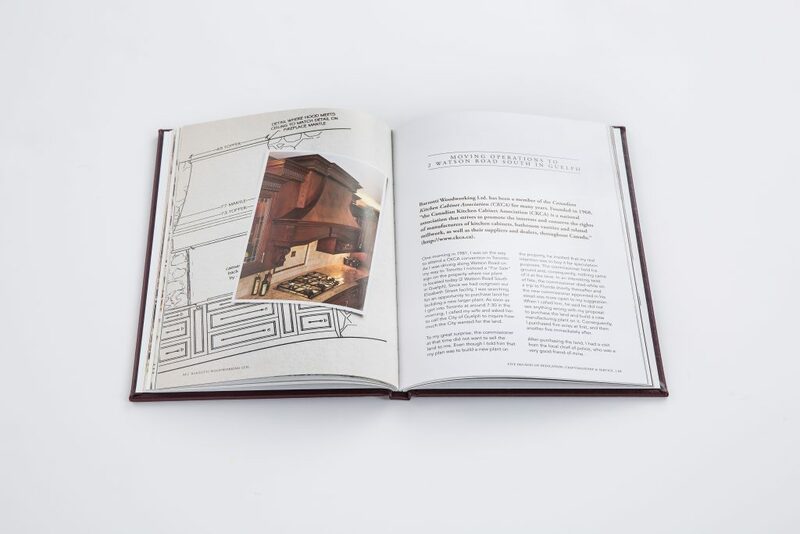 To tell the story in its multiple contexts, we started off by conducting interviews and research on the economic and social conditions in Italy from the 1930s through the 1960s. We examined the impact of the rise of Mussolini and World War II on the Barzotti family and Italians in general, as well as the Canadian immigration system at the time of Vincent’s move to Canada. 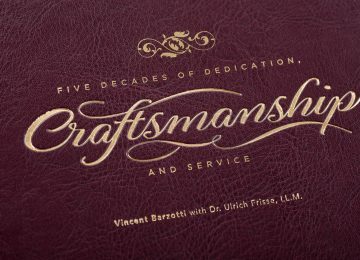 In conveying the story of Barzotti Woodworking, we placed a lot of emphasis on the notion of family entrepreneurship and the chore values and principles that have guided Vincent Barzotti in becoming a successful entrepreneur and community builder over the course of 50 years. 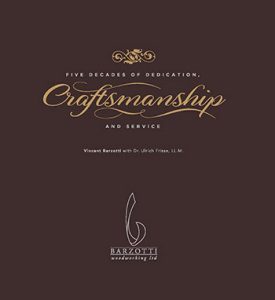 To reflect the Barzotti company’s commitment to Old World craftsmanship, the book design is classic, yet creative with a colour scheme and ornate elements that match the premium character of the Barzotti brand. 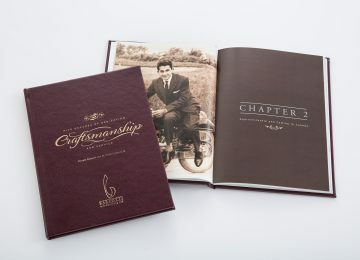 Historical images, state-of-the-art product photography and images from a photo shoot inside the plant came together in the creation of this premium entrepreneurial legacy book.